How fun are these!?! No wonder everyone keeps asking for before and after photos. 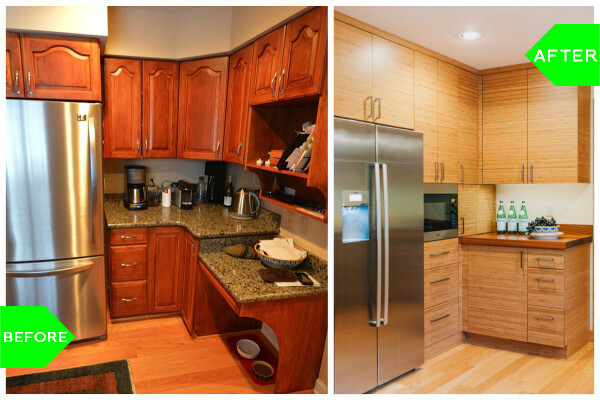 Check out this traditional red oak kitchen’s transformation to bamboo contemporary style. I can’t get over how much lighter and sunnier the space feels in the after photos. After you’ve finished with these, if you’re interested in this kitchen’s contemporary design, visit our earlier blog, Contemporary in Queensbury, where we discuss our inspiration for the project. 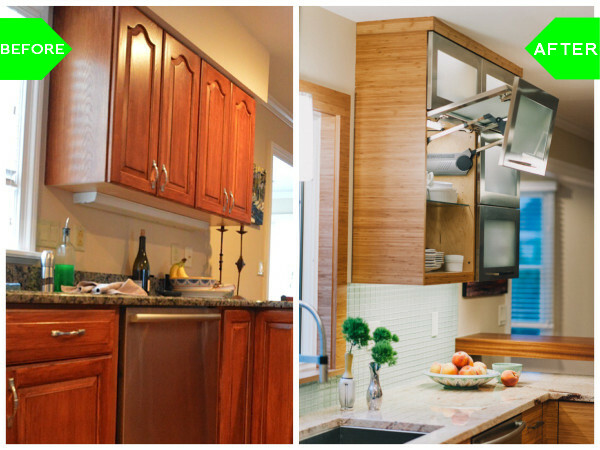 Removing the soffit and relocating the microwave, takes the cooking space from dark and cramped to bright and open. A floor to ceiling, built-in refrigerator and microwave wall add sleek design to an originally cluttered space. 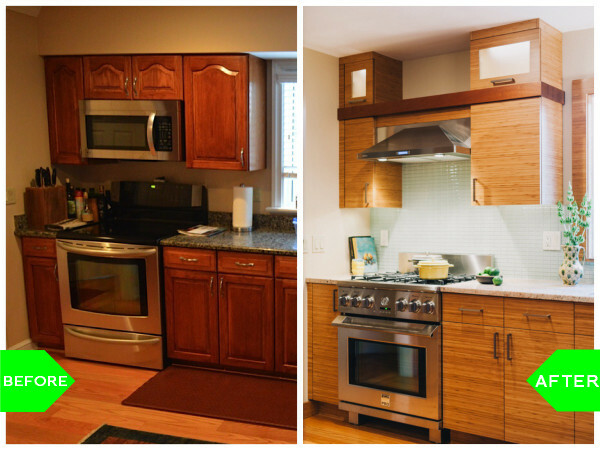 Stainless steel and glass lift-up wall cabinets become a focal point. 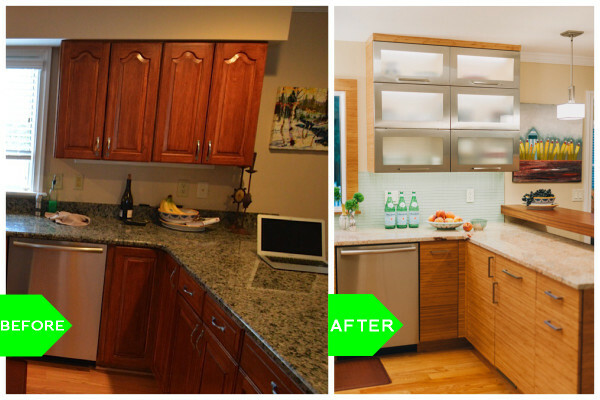 While new LED undercabinet lighting illuminates the new recycled glass backsplash and granite below. 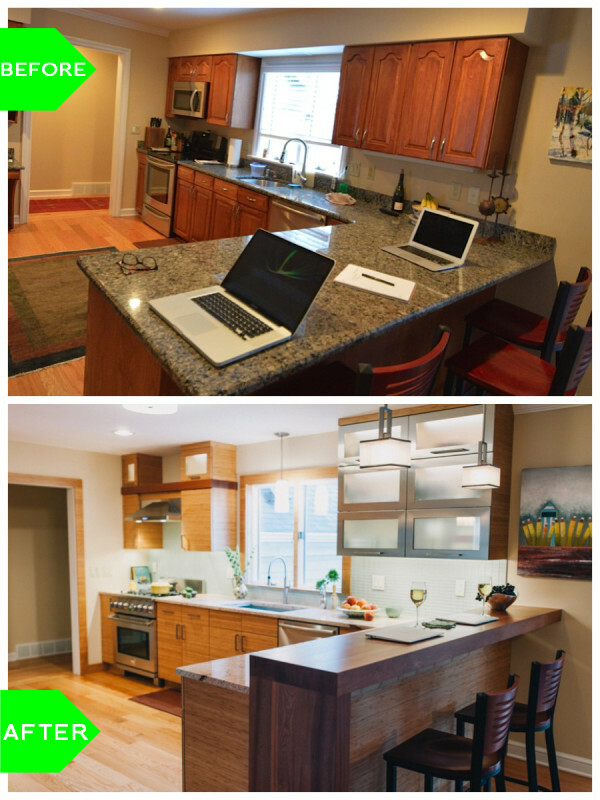 A once plain peninsula is transformed with a floating sapele bar top. 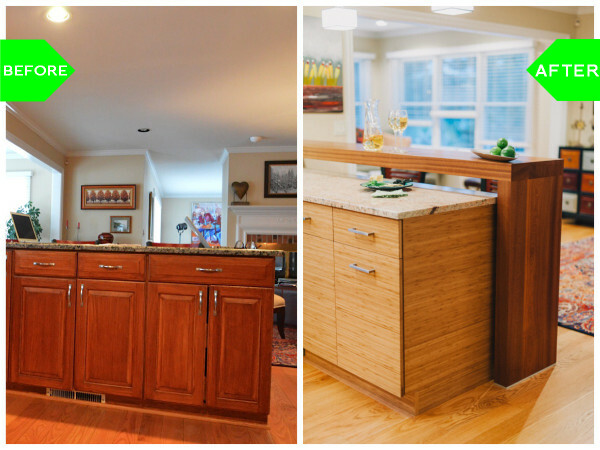 The raised bar makes the perfect space for entertaining guests while busy in the kitchen. Pendant lighting above the bar helps to draw the eye up and tie the different elements of the room together. 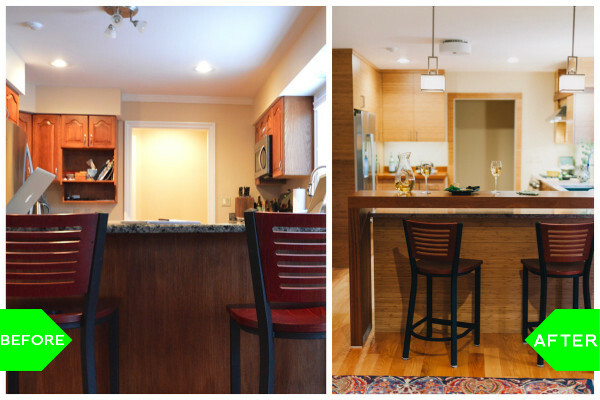 The overall transformation of the peninsula area adds dramatic flair to the kitchen and creates a much more interesting transition into the living area. 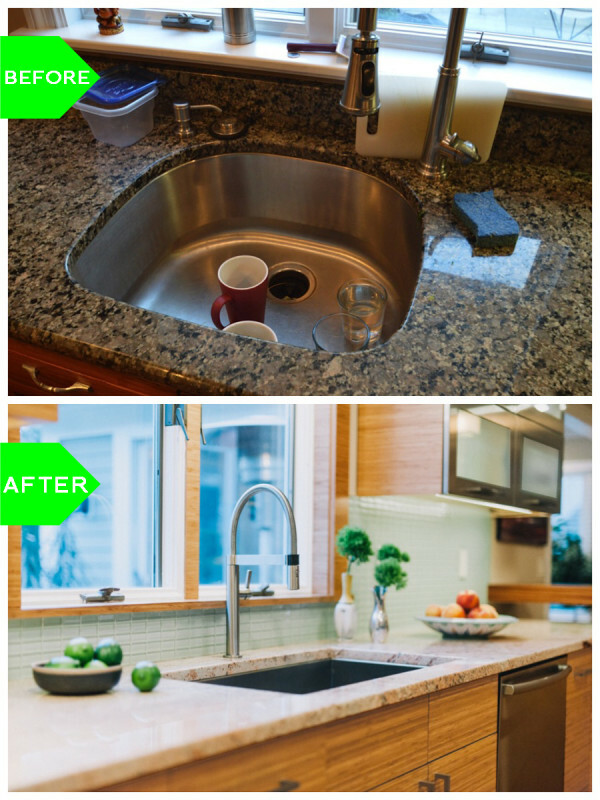 The sink area gets a complete overhaul with the recycled green bottle glass backsplash, quartz and peach-hued Shivakashi granite, bamboo window trim, a geometric sink, and professional faucet. Here you see the overall effect on the main sink wall.